There are currently four tuition centers at Concerns. 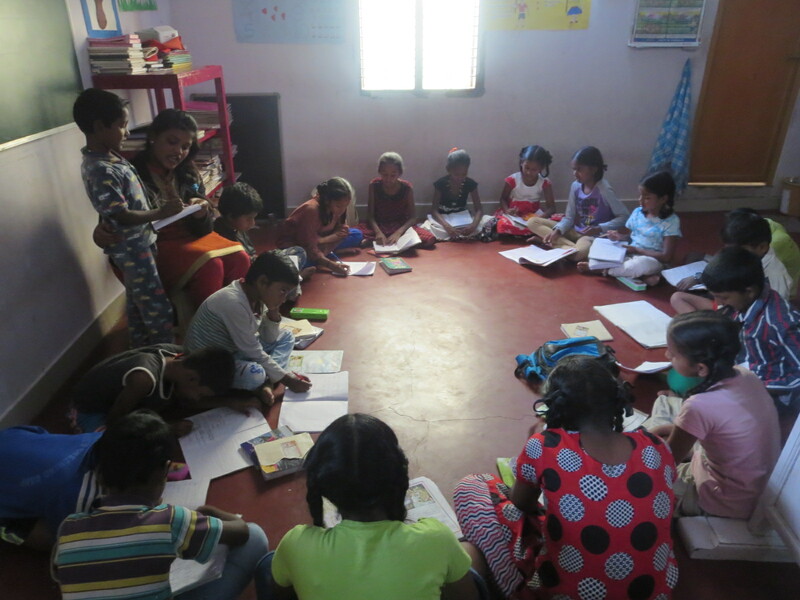 These centres provide homework support for vulnerable children, who face challenges associated with poverty and receive little or no support with their studies from home. As well as offering academic help, teachers at the centres promote good health and hygiene practices, and all the children are provided with basic computing skills. The children are also given an opportunity to exhibit their talents through cultural activities. The tuition centres help reduce the school dropout rate by supporting children in their studies and providing them with skills to cope with school life. We have several computer centres in various areas of Bangalore. With the support of Dell and SSGA (State Street Global Advisor), hundreds of the children we work with have received training in computer skills. The CUF team runs a number of clubs and activities over the summer months during the school holidays. The aim is to improve children’s social responsibility and for them to gain a better understanding of the environment in which they live. The children learn the importance of leading healthy and hygienic lives and take part in activities aimed at improving their local community. Basic computer skills are also taught. The summer camps provide a point of contact with local children and are useful for encouraging children to discuss any issues they may have. This can also lead to identifying and supporting potential school dropouts. The children have fun and become actively involved in their community, spreading healthy practices through rally campaigns and other activities.